So we decided not to long ago to do a potato experiment. 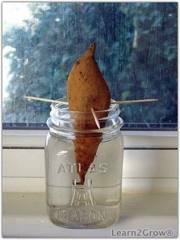 What I did was I took a potato and had the kids stick toothpicks in it and put it in a bit of water in a jar and put it in the windowsill several weeks ago. I still had them take notes of what was happening. Soon it started to sprout and the kids were so excited! So I thought it would be interesting to ask my children to look at a few different type of eggs to see what they thought would be different about them and what could be different inside and once hatched ect. I then showed them photos that were what the birds looked like once hatched. 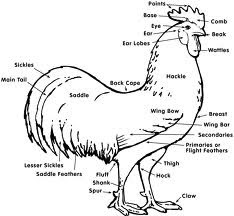 I also printed out a diagram of a chicken and learned the different parts of their anatomy. My mom had just gotten some chickens recently. I find that learning about certain things are the easiest when children are interested .